Israel Lean Enterprise (ILE), which specializes in transforming medical administration through the method of Lean Healthcare, congratulates Professor Ezekiel J. Emanuel, who has been awarded the prestigious Dan David Prize for 2018. The Prize, awarded by the Dan David Foundation, is given for achievements having an outstanding scientific, technological, cultural or social impact on our world. During his visit to Israel, Professor Emanuel took part in ILE’s activities, in cooperation with the Assaf Harofeh Medical Center, and shared his insights and visions for a revolution in the health system in the United States. He offered two lectures, focusing on both the micro (medical centers) and macro (governmental medical policy) levels. 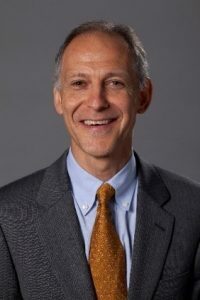 Ezekiel J. Emanuel is the Vice Provost for Global Initiatives and Chair of the Department of Medical Ethics and Health Policy at the University of Pennsylvania. During the Obama Administration, he served as a Special Advisor on Health Policy to the Director of the Office of Management and Budget and National Economic Council. In that role, Emanuel was a key architect of the Affordable Care Act. Prof. Emanuel is one of the most prolific and respected health policy experts in the United States. He has written over 300 articles and written or edited 12 books. Prof. Emanuel’s most recent book is Prescription for the Future: The Twelve Transformational Practices of Highly Effective Medical Organizations. He writes for the New York Times, the Wall Street Journal, and appears on CNN as a commentator. Over three years of study involving many different health care organizations, Prof. Emanuel will delineate 12 transformational practices that can significantly improve patient care and reduce costs. Health care leaders often know why they must transform their care, they may know some of what they need to do to change, but they often do not know how to change. This talk will help the leaders of healthcare systems who want to transform, how to identify initial changes and prioritize the 12 different practices. It will also help leaders understand the timeline of change. furthermore, Prof. Emanuel discusses the role virtual or digital medicine plays in healthcare, both today and in the future. All countries, insurers, and health systems within countries face growing demands for high cost health care and budget constraints. In devising solutions to this dilemma it is absolutely critical they understand where the health care system is going over the next 10-20 years. Prof. Emanuel identifies six inevitable megatrends that will dominate future healthcare in all advanced, developed countries. Among these trends are the increasing burden of chronic disease and the ability and need to incorporate performance measurement and feedback for physicians and all providers. Prof. Emanuel will also explore how insurers and health systems can successfully address these megatrends.